Fungal Infections are inflammatory conditions caused by a fungus. Most fungal infections are superficial and mild, though persistent and difficult to eradicate. Fungal infection of the skin is the 4th most common disease. Symptoms include peeling and scaling of skin with itching. Giving the right drugs at optimal doses can give the optimum results. My infection was diagnosed and treated veey efficiently. Its cured completly within first meeting itseld. I remain highly satisfied and would recomment dr. Dadu for all skin related problems.. I am feeling very good after consulting her. Its good to get medication from her. 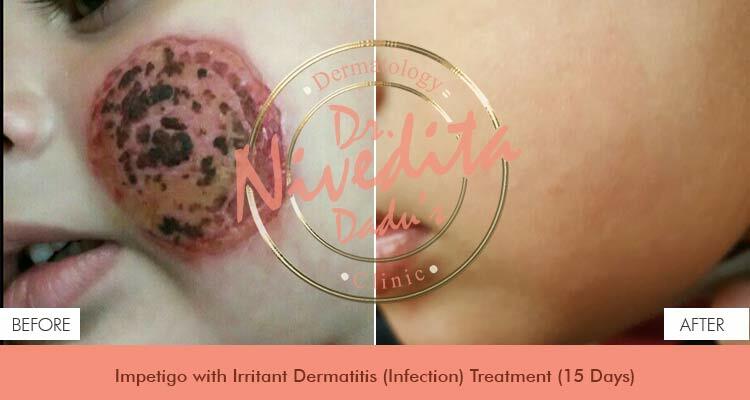 Best doctor and best results for fungal infection. Thanks a lot to Dr. Nivedita Dadu. Just cured within 2 week from fungal infection .Fully Satisfied.